Most plumbers that offer emergency services will do so by monitoring a phone number 24 hours a day, 7 days a week. The thing that makes these types of services different to regular plumbing options is the fact that where a boiler could be installed at a time and date to suit the home owner; if a pipe explodes, or if a radiator starts spouting boiling water, the chances are that everyone present won’t want to sleep on the problem and wait until morning. Emergency plumber services are a great solution for those that are facing urgent needs, but how do they differ to regular tasks? Taps can be prone to leaking from time to time, as can pipes and even the connections at the back of a boiler. If these issues are ongoing and seem to have cropped up over a substantial amount of time, then the chances are that they could be considered fairly consistent in nature. 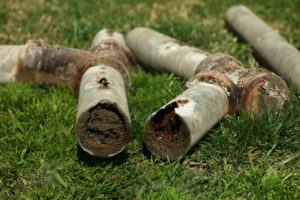 Although it would be best to have an expert plumber come out and evaluate the cause of the problem, you might not feel obliged to do so as soon as possible. On the other hand, if a pipe suddenly erupts in a fountain of water, if a boiler starts to make strange noises when operating, or if a radiator is emitting boiling hot steam from anywhere – this would constitute an emergency. In these cases it’s a good idea to get in touch with a plumber using their emergency number; even if it is the same as their regular one. The advisor that answers will be sufficiently trained in recognising the difference between a regular project and an urgent one – and they will therefore be able to offer immediate guidance. They will also be able to get in touch with one of the agencies’ plumbers and have them dispatched to your location as quickly as possible, where they will be able to take care of the event and rectify it as quickly and efficiently as they can.